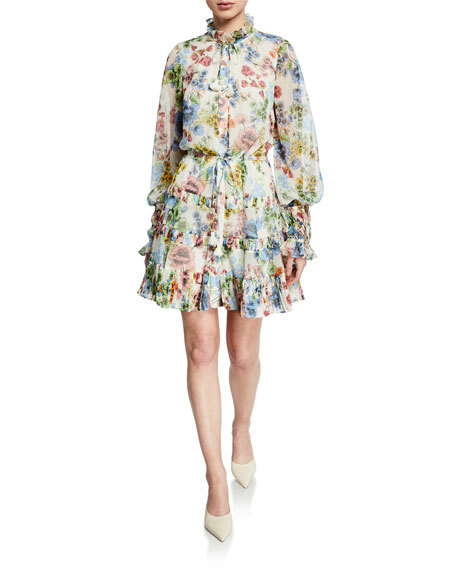 For in-store inquiries, use sku #2465763. 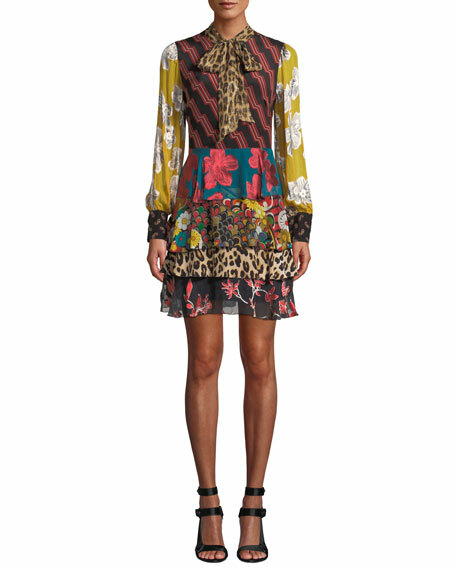 Bardot "Ellis" waffle knit dress in floral line drawing print. Self bow at center chest. 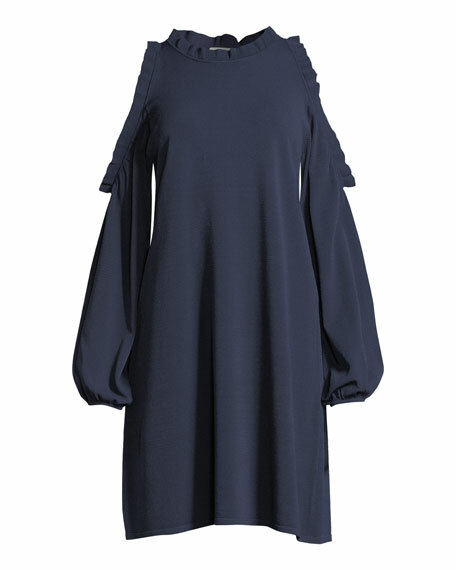 Square neckline. Wide straps with shirred short sleeves. Cold shoulders. 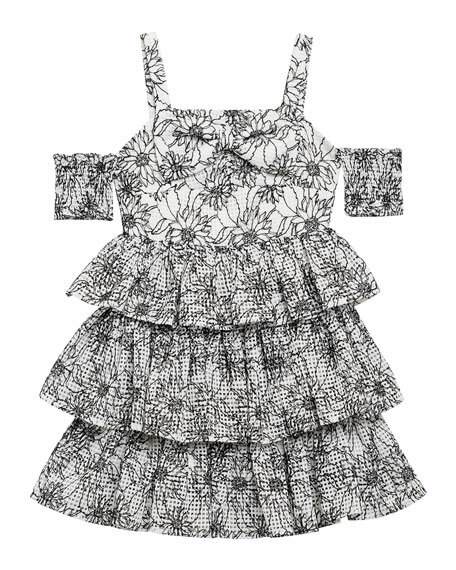 Tiered, ruffle bodice. Exposed back zip. A-line silhouette. Polyester. Imported. 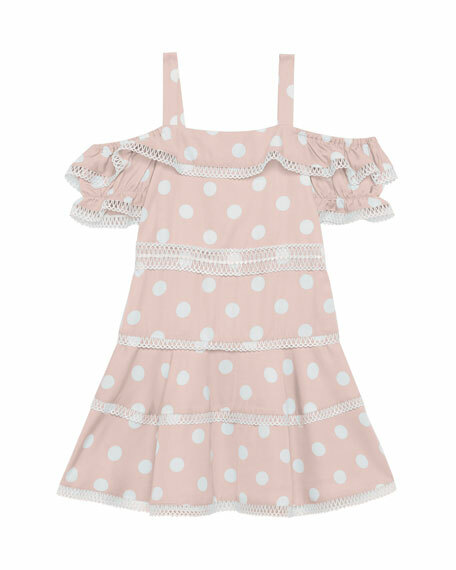 Bardot "Isola" polka-dot dress with knit trim throughout. 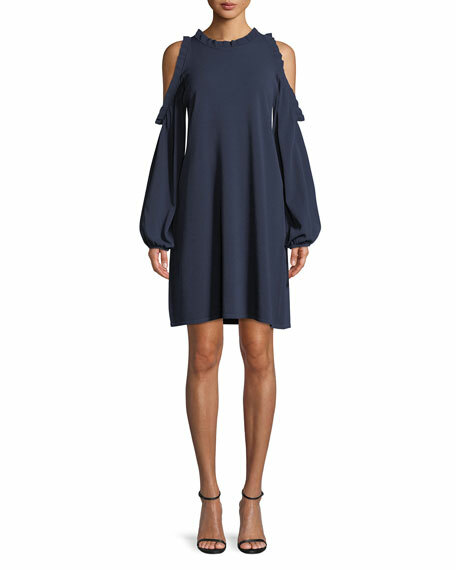 Elasticized, off-the-shoulder neckline. 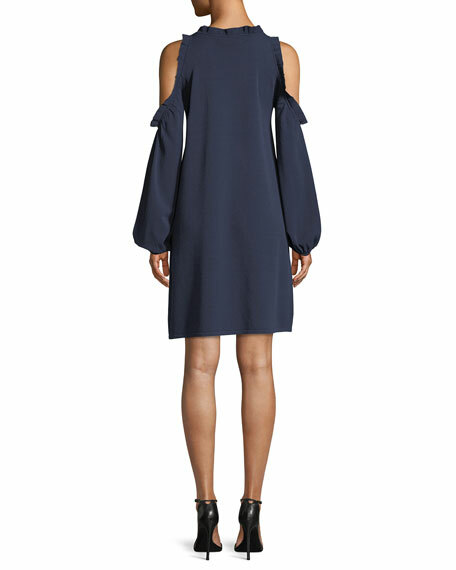 Half cold-shoulder sleeves; spaghetti straps. Exposed back zip. A-line silhouette. Main: viscose/Lyocell/linen. Trim: polyester. Lining: cotton. Imported.